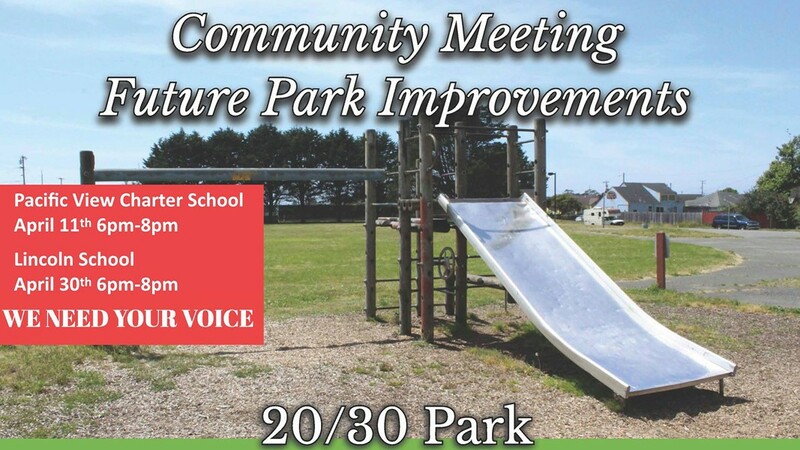 We want YOUR Input to Re-imagine & Revitalize 20/30 Park! The City of Eureka is excited to announce its application for the Prop 68: Statewide Park Development and Community Revitalization Program. This funding opportunity helps fund park projects in critically under-served communities. The focus of this grant application being to revitalize 20/30 Park, located at 2605 Pine St. WE would like to you to be part of the process!